A strong partner for special hotel deals for teams and fans. Vienna, 03 May 2010. Hotel Reservation Service (HRS), the international accommodation booking company, and EHF Marketing GmbH have agreed a three-year partnership agreement, beginning with the EHF FINAL4 in Cologne on 29 and 30 May 2010. The Cologne-based company will offer special hotel prices for the fans visiting the EHF FINAL4 in Germany as well as to clubs and their supporters throughout the EHF Champions League season for the next three years. The partnership with HRS will provide a number of advantages for clubs and their fans taking part in the EHF Men’s Champions League such as special accommodation rates for away games in the competition. Hotel Reservation Services (HRS) is a worldwide electronic hotel accommodation booking system with over 250,000 hotels in their international database. The company has its headquarters in Cologne, Germany, and was founded in 1972 by Robert Ragge. Today HRS has offices in around the world including Shanghai, London, Paris or Rome. 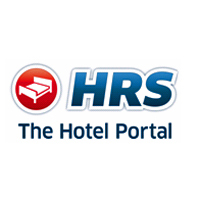 The HRS online reservation service has been available since 1996 and can be found at www.hrs.com.